Have you survived Black Friday shopping? The good news is this crazy shopping day is just about over. The even better news? The deals aren't! At Dayspring, the deals are just getting started! I've been sharing these excellent deals throughout the past week or so, and they just seem to get better and better. This weekend's deal? It might just be the best one yet! That's right, through Monday- select items are Buy One, Get One FREE! Stock up on great gifts like mugs, journals, wall art, perpetual calendars, inspirational magnets & more. Not only are these gifts buy one, get one... they're also already marked down too! Deals upon deals upon deals!!! 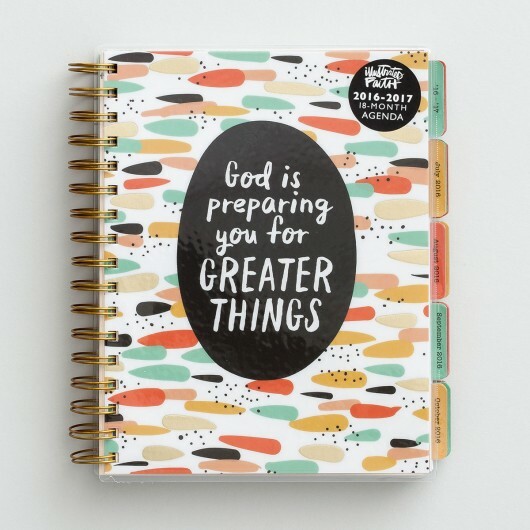 There are so many deals to choose from, but I have to say that my favorite is the fabulous Illustrated Faith 18-Month Agenda! A friends recently gifted this planner to me and it is every bit as beautiful as it is practical. They are regularly $29.99, but with this sale they are just $20, AND you could get another one free for a friend. Or mix and match to best suit your gift giving needs. This sale truly is a great one to do your holiday shopping- or spoil yourself- at a great price! 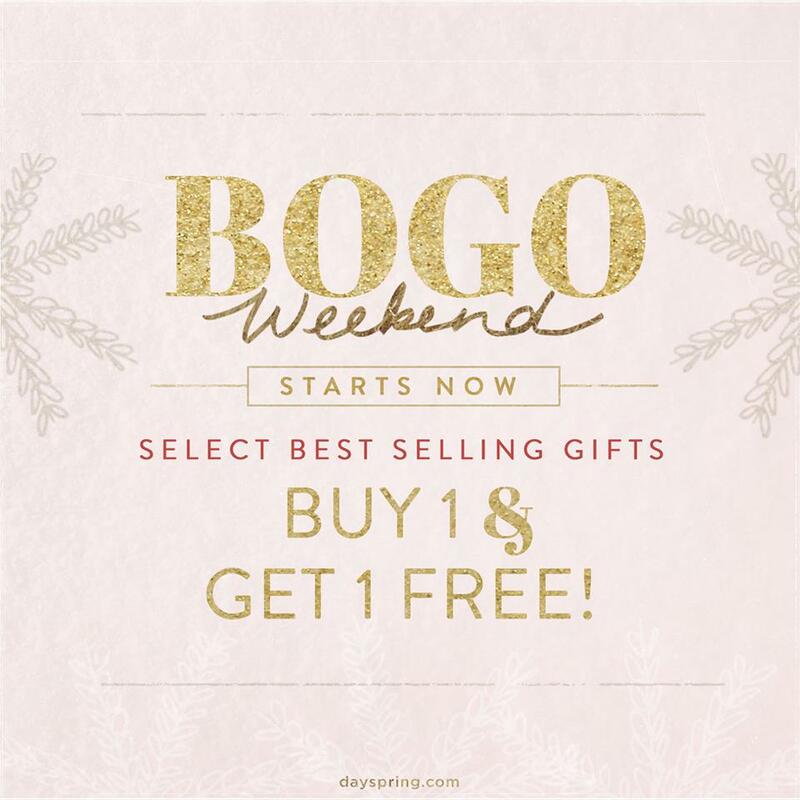 You can see everything available in this BOGO Weekend Sale here. But hurry, the deal ends Monday! While you're there, be sure to check out the rest of the deals going on at Dayspring! New markdowns continue to be added to the Black Friday Markdowns... like select Illustrated Faith Devotional Kits for just $15!!! Have you checked out the deals going on at Dayspring right now? Which are YOU most excited about? I prefer to to my Black Friday shopping online, so this is perfect.